3 people died and several are injured when the under construction building Imperial Orchid, Bellandur, Bangalore. The incident happened around 12.30 pm when three to four groups of construction workers, totally around 15, working at the building were about to leave for lunch, the police said. The deceased have been identified as Ashok Mahanta, 27, a native of Assam, who worked as a security guard at the adjacent residential complex Meena’s Imperial Orchids nearby. The other deceased was identified as Sameer, aged about 20, a labourer who hailed from West Bengal. Another body of a construction worker was retrieved from the debris, but is yet to be identified by the police. BBMP officials, including Chief Engineer Parameshwariah and Assistant Executive Engnineer Shashikumar of Mahadevpura zone were busy flipping through the survey maps to identify the owners of the 2,000 sqft plot. “There are eight partners and the main ones are Harish Kumar, Srinivas Reddy and Vinay. All of them will be booked for negligence. The BBMP granted permission to construct ground plus three floors, but the builder had raised two additional floors. 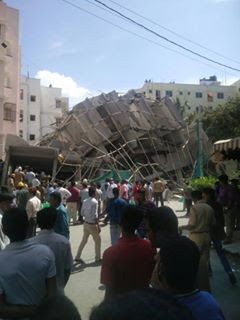 The building collapsed because of low-quality construction materials,” a BBMP official said. Read reviews before making any purchase decision today at http://www.flatgradings.com/. Two major malls in the city, which have come up on stormwater drains, may face the hammer, Mayor B N Manjunath Reddy said on Monday. Reddy told DH that Orion Mall in Rajajinagar and Gopalan Arcade Mall in Rajarajeshwari Nagar have encroached on stormwater drains. “The survey has been completed and it has emerged that the two malls are sitting on stormwater drains,” he said. When contacted, Siddaiah said no malls were sanctioned during his tenure. “It is an old matter, which I cannot recall at this point. But I did not sanction any mall during my tenure as BBMP commissioner,” Siddaiah said. 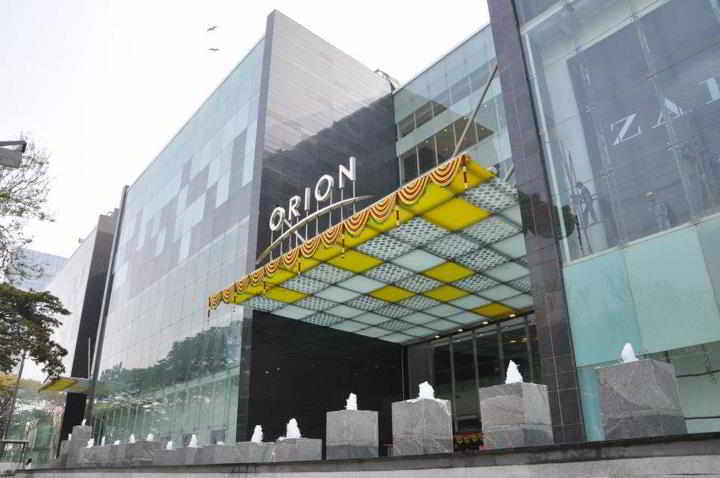 Attempts to reach the authorities of Orion Mall went in vain, as the person who attended the calls refused to transfer them to the people concerned. General Manager of Gopalan Mall, Subba Rao said he was not aware of the mayor’s statement nor the status of the stormwater drain. “But if other buildings are being razed, then we are no exception,” said Rao. Reddy has directed senior Palike officials to act against the ward-level BBMP engineers following reports that construction work had resumed at the controversial Puravankara Skydale in front of Haraluru Lake on Hosur Road. A week ago, the mayor had visited the spot and claimed that the building had encroached on a stormwater drain and the buffer zone of the lake. On his direction, the BBMP had “seized” the property a week ago. The Palike had also torn down the temporary tin-sheet fencing. If you ever come across any such illegal construction then please share your detailed review on flatgradings http://www.flatgradings.com/write-review-form and save people from falling into builders trap. 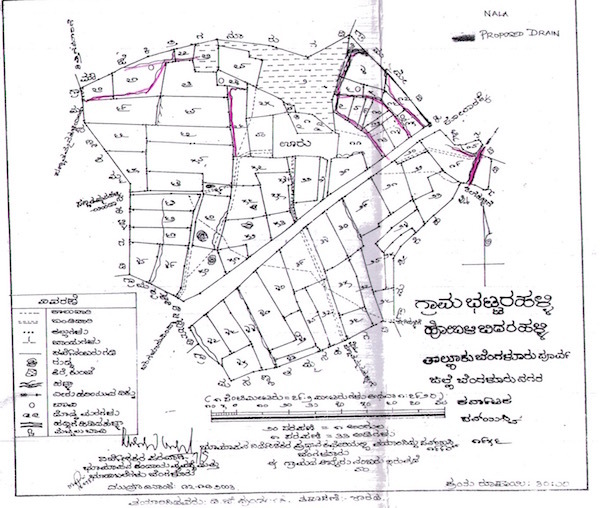 The Bruhat Bangalore Mahanagara Palike (BBMP) on Saturday published details of rajakaluve encroachments on its website. The exhaustive list was uploaded in three main folders, 83 sub-folders and 1,923 revenue maps on the palike website. Under the title, Survey Settlement and Land Records (SSLR-Revenue Maps) online, the BBMP website has classified details into three folders. They are: Bangalore East, Bangalore North and Bangalore North Add. The sub-folder provides a list of areas coming under these zones while another click gives details of encroachment and the survey numbers. 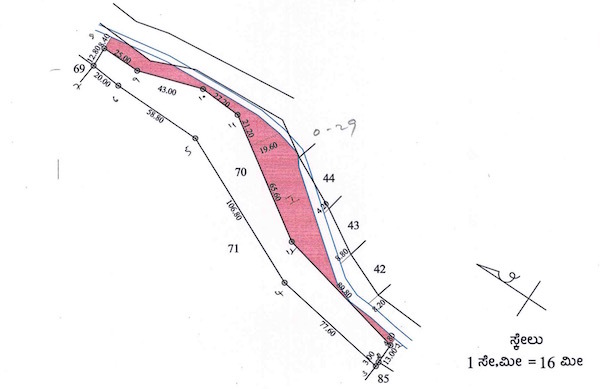 The documents are in Kannada and not optimized for web viewing, however, if there is a storm water drain passing through a survey number the file name includes the survey number. Some of the village level folders also contain the village map which gives you a rough idea of the SWD. It's difficult to interpret these maps and if you find your survey number it's better to approach the revenue department for more information. BBMP commissioner N Manjunath Prasad told Deccan Herald, “We have uploaded land records on the website as it is. Our revenue officials are working on providing separate details on encroachments based on each ward. The work is expected to be over by Sunday and we would publish a ward-wise list on Monday,” he said. The commissioner also said the BBMP would upload geographic information system (GIS)-based maps of the rajakaluve network on the website shortly. "This will help the general public make an informed decision before buying the property. The buyers will be able to look for information such as the survey number, land location as well as encroachment-related details on the website," he added. The GIS map will have the rajakaluve network in it. If buyers feel there is a drain passing through the property, they can approach the revenue department for confirmation and further details," he added. BBMP has separately hosted more detailed information for certain survey numbers which are affected by the current encroachment drive. The Bruhat Bengaluru Mahanagara Palike’s (BBMP) encroachment clearance drive has finally targeted a major builder. The civic agency on Tuesday razed a tin sheet boundary erected by Puravankara around its upcoming apartment complex in front of Haralur lake, southeast Bengaluru. The Palike’s crackdown came on the direction of Mayor B N Manjunath Reddy. Purva Skydale, a 17-storey residential complex of 288 flats, is almost ready with final touches being given to it. There were complaints that the builder violated the lake’s buffer zone, encroached on a stormwater drain by building an apartment complex on it, diverted the flow of the drain and narrowed it. Puravankara is also accused of encroaching on 7.5 guntas of land belonging to one Venkataswamy Reddy. Taking note of the complaints, the mayor reached the spot with Palike and revenue officials in tow. Finding truth in the complaints, Manjunatha Reddy directed the BBMP to seize the entire property and evict workers from the place. On his instruction, Palike officials measured the lake’s buffer zone and found the boundary of the housing complex at least 36 feet inside the buffer zone. The tin sheets and the workers’ makeshift quarters were immediately razed to the ground. 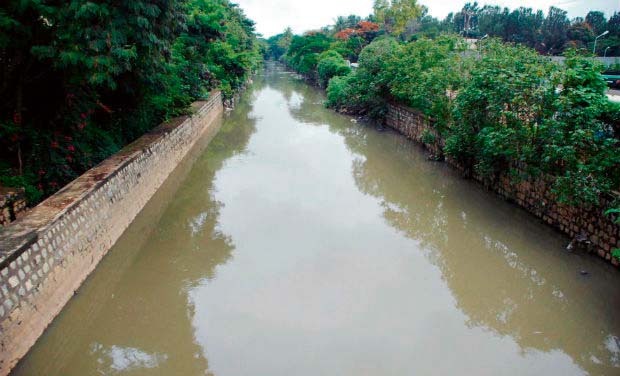 Speaking to reporters later, the mayor referred to complaints against the project — encroachment of stormwater drain, encroachment of Haralur lake’s buffer zone and encroachment of Venkataswamy Reddy’s 7.5 guntas of land in survey number 100/3 of Kudlu village in Sarjapur hobli, Anekal taluk. He took the officials to task for not responding to repeated complaints by Venkataswamy Reddy. “Puravankara has encroached upon Venkataswamy Reddy’s land. He fought a long legal battle in the lower court and the High Court ruled in his favour, but he has not yet got his land,” the mayor said. Manjunatha Reddy directed the BBMP to survey the SWD and submit a detailed report. Reacting to the BBMP action, a spokesperson for Puravankara said, “Puravankara clarifies that the project is being developed on 186 guntas, and has a clear marketable title. The property has been purchased through a valid sale deed and we have the BBMP khata for the entire extent of land in our name, with all taxes paid till date. The mayor also inspected Sunny Brooks, a gated community at Dodda Kannahalli on Sarjapur Road near Wipro office. He said the SWD had been encroached upon, causing flooding in a residential layout in the upstream of Saul Kere. Latest app to speed up the work of measurements! There has been so many new application in the market to help customer measure their house easily.